Neath MP Peter Hain has praised the year round work of the Royal British Legion following a meeting with the new Legion Area Manager for Wales and volunteers. 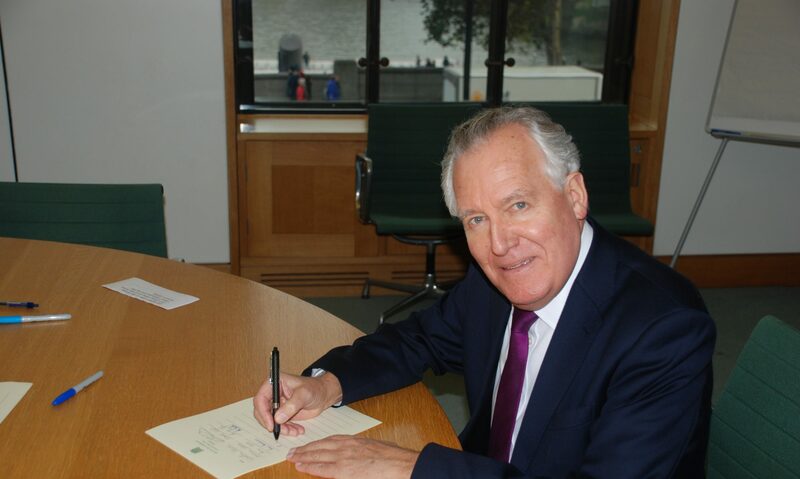 At an event in Parliament Mr Hain was able to discuss the Legion’s work in the area where they are a leading provider of welfare for the Armed Forces community in Neath and the changing face of Armed Forces welfare provision. Mr Hain was also able to meet Welsh Legion beneficiaries Samantha Bowen and Andy Davies to discuss their experiences. The Royal British Legion provides care and support to all members of the British Armed Forces, past and present, and their families. That care and support can come in many forms, whether it be direct financial aid; benefits and money advice; adventure holidays in the UK for Armed Forces families who need a break; or helping an elderly or disabled veteran with a trusted handyman facility to help with odd-jobs in the home. These are just some of the many, many services the Legion offers as way of support to the Armed Forces community.